Free WiFi is available in all rooms. 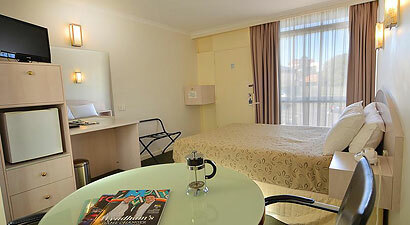 Room size: 10 m2. 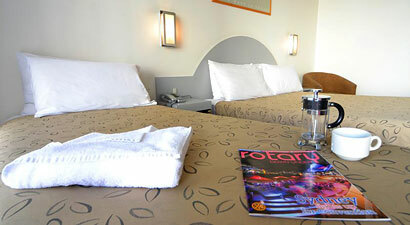 Refurbished rooms with queen size beds. With direct dial phones, airconditioning, heating, LCD TV, ensuite, tea and Coffee, fridge, iron and ironing board and hair dryer. Maximum 2 guests. Please note that this room has no capacity for additional guests. Comfortable queen bed with extra single bed. 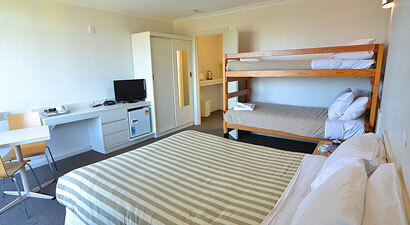 With direct dial phones, airconditioning, heating, LCD TV, ensuite, tea & Coffee, fridge, iron and ironing board and hair dryer. Free WiFi is available in all rooms. Free WiFi is available in all rooms. 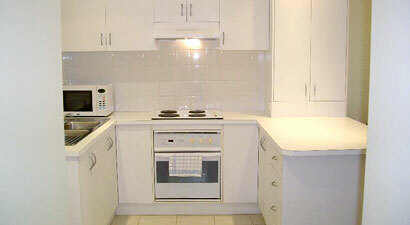 Family room features a refrigerator and tea/coffee making facilities. 2 Bunk Beds and 1 Queen Bed. Please note these rooms are near the Function Room. Guests may experience noise disturbances on weekends until midnight. Free WiFi is available in the apartment. Rates are for 2 guests. Maximum of 4 guests. Fully self contained one bedroom apartments offering washing machine and dryer, full kitchen, dining & lounge areas and TV / CD stereo system. All you need for a home away from home! Free WiFi is available in the apartment. Maximum of 4 guests. 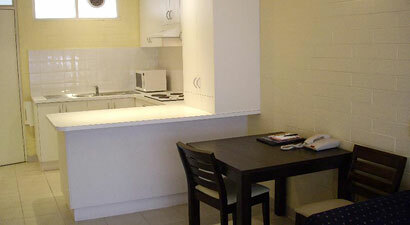 Our two bedroom apartments are fully self contained and conveniently offer washing machine and dryer, full kitchen, dining & lounge areas and TV / CD stereo system. Excellent choice for family with children or travelling with friends on a holiday. Free WiFi is available in the apartment. Maximum of 6 guests. Our three bedroom apartments are fully self contained and conveniently offer washing machine and dryer, full kitchen, dining & lounge areas and TV / CD stereo system. 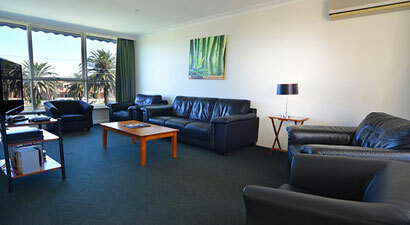 Whether you are travelling with family or group of friends, our accommodation will suit your needs and budget.